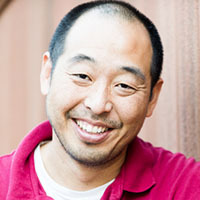 Koji Steven Sakai (CEO, Chief Executive Officer) is a writer/producer with over a decade of experience in the industry. He has produced the feature films, The People I’ve Slept With, #1 Serial Killer, Dying to Kill, Dwayne Perkins: Take Note (2015), a one hour comedy special currently on Netflix, and most recently, Comedy InvAsian (2017), a live and filmed series featuring the nation’s top Asian American comedians. In addition, he served as Vice President at the Japanese American National Museum for over 5 years. 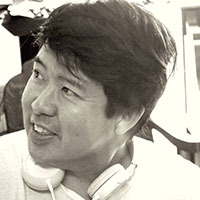 Quentin Lee (CCO, Chief Creative Officer) is an experienced filmmaker having produced eight independent Asian American feature films along with his latest live and filmed comedy series titled Comedy InvAsian. He has been running Margin Films, a production and distribution company for over 20 years. He’ll be overseeing and managing all content acquisitions and partnerships for CHOPSO. 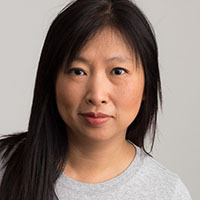 Sue Limsukonth (CDO, Chief Design Officer, Head of Branding) is a veteran graphic designer who has worked for LA Weekly for over two decades. 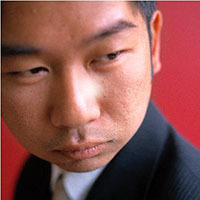 In addition, she’s a co-founder of the original Apopolis.com blog with Quentin Lee which has been rebranded as CHOPSO. Linda Yoon (Head of Design)..
Karen M. Gee (Head of Business Affairs) is a veteran attorney and has advised on numerous film and media projects. 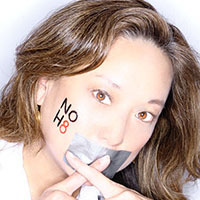 She serves as Legal Counsel for Coalition of Asian Pacifics in Entertainment (“CAPE”) and as General Counsel and Director of Business Affairs for Apopolis, Inc. As an entertainment attorney she represents directors, producers, writers, actors, performers, musicians, and production companies. She also has an extensive legal background in criminal and civil litigation, mediation and conflict resolution, and non-profit development and fundraising. Karen received her J.D. from U.C. Berkeley’s School of Law, and her B.A. from Yale University. Jonah Blechman (Publicist, Advisor) Over the past decade, Jonah Blechman’s public relations work has included leading Oscar and Golden Globe campaigns for both Foreign and Documentary Oscar submissions, garnering over 3 Sundance Jury Prizes, Audience Awards for both Palm Springs Int’l Film Fest and Slamdance Film Festival’s Narrative and Documentary Awards, and multiple Grand Jury Awards at Outfest. He has led festival press for over 140 films at LA’s most prestigious film festival in the heart of Hollywood, AFI Fest, including such films as LINCOLN and LIFE OF PI. He also led the PR department for the 15TH , 16th and 17th annual 11 day L.A. based Dances With Films festival at Grauman’s Chinese Theaters. Jonah’s festival experience includes Toronto, Cannes, Tribeca, LAFF, SIFF, Cinequest, Frameline, etc. 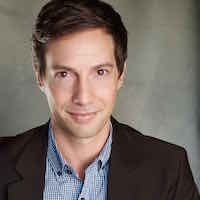 Jonah has lead theatrical, DVD / VOD and festival campaigns for such filmmakers as Jonathan Demme (NEIL YOUNG TRUNK SHOW), Andrew Haigh (WEEKEND), Ira Sachs (KEEP THE LIGHTS ON), James Franco (INTERIOR. LEATHER BAR. ), Kyle Patrick Alvarez (EASIER WITH PRACTICE, C.O.G. ), Jeffrey Schwarz (I AM DIVINE, THE FABULOUS ALLAN CARR), Doris Dorrie (QUE CARAMBA ES LA VIDA), Sofia Takal (GREEN), Catherine Gund (BORN TO FLY), Judy Chaikin (THE GIRLS IN THE BAND), Nick Cassavetes (YELLOW) and Paul Thomas Anderson (THE MASTER). Beyond independent films, Jonah’s public relations firm, PotentPR, also services global streaming platforms for niche media including REVRY (LGBTQ content) and the newly released CHOPSO (English language Asian content). Leon Ng (Co-lead of Canada, Advisor) s a proud Vancouverite who has lived in Singapore, Hong Kong, San Francisco, and Toronto, bringing a global perspective to his work. After starting his career in broadcast management, he launched Canada’s largest Real Estate TV Network – The Real Estate Channel. Leon then founded LNG Studios in 2009, an award winning visualization company specializing in 3D renderings, animation and virtual reality. 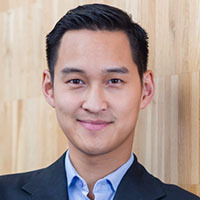 Leon was chosen as one of Business in Vancouver’s Top 40 Under 40 and is an avid volunteer + board member for many charitable and non-profit groups including St. Paul’s Hospital Foundation, Vancouver Asian Film Festival and the VR/AR Association. Read Leon’s Business in Vancouver profile for winning Forty under 40 in 2015.
data center management will help CHOPSO execute its business plan.